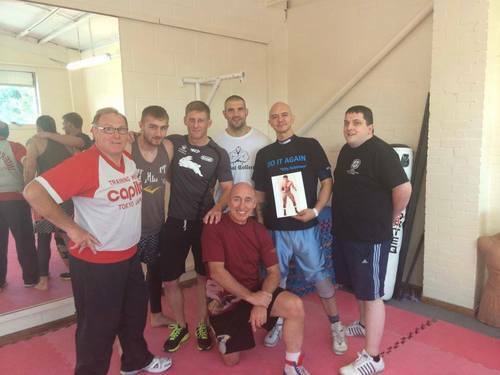 Scientific Wrestling’s Catch-As-Catch-Can Training Camp UK 2014! James “Colossus” Thompson working with Hong Kong's Reggie Wong. Jez Ritchie is helping me here. "My head's still spinning from all the game changing knowledge that was dropped at this years Scientific Catch Wrestling Seminar this past weekend. I'd really been looking forward to it for a long time. To say I was kicking myself in the arse about missing the knowledge that was dropped there, and the chance to meet the legend that was Billy Robinson, would have been the biggest understatement ever uttered. BUT luckily for me, I did make it to the seminar and Jake Shannon and Wade Schalles' Catch Wrestling/wrestling Seminar was totally game changing. It's only a question of time until this explodes onto the mma scene and evolves, taking mma to the next level. It works, which means it's just like a force of nature… it can't be stop, It's that simple. I'm currently watching a lot of DVD's (for the old school mma fans out there) to be precise Wade Schalles' Legal Pain Collection of DVD's and I'm going over and over his technique that I learned over the past three days. I'll be the one who hits some of this gold first in a mma fight (new goal). Here is Thompson going over the finer points of the spladle with its inventor, wrestling legend Coach Wade Schalles, much to the chagrin of Scientific Wrestling Asst. Coach Alex Cook. 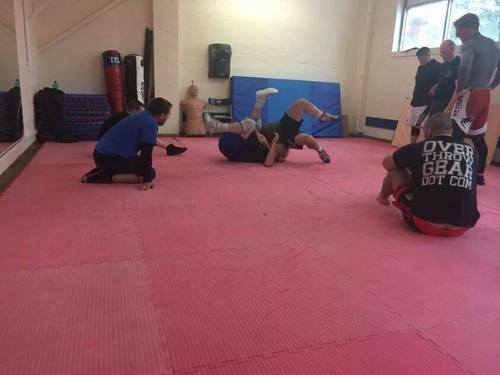 "The worst part of that was that no one can hear you scream…"
James Thompson actually wrote a great blog about his reasoning for originally wanting to train with Scientific Wrestling, and you can read it here (do read it, it is a good piece). Needless to say, to have a Pride FC vet and someone that puts on the table for their family with fighting seek us out was both humbling and reassuring. With our efforts over the last decade-plus finally coming to fruition and having forged a way for catch-as-catch-can's respectability and growth, we are still providing people with the opportunity to train with the very best, top tier coaches on earth and throughout history (we are please to be the Ferrari of our burgeoning catch-as-catch-can revolution). We are still the trainer of the many of the trainers helping us grow our amazing sport, gratitude to everyone that has stepped up and gotten involved in a positive manner! This is just before my jaw bone was nearly separated from my skull by the undisputed master of the submission pin, Coach Wade Schalles. His pins will literally have you seeing stars, break your nose and possibly crack your skull (no hyperbole). It was great to see returning campers Jez Ritchie and Martin “Oz” Austwick and meet our newest scientific wrestlers James, Reggie and Mark Randall. Marty went on to quite a great career himself, traveling the world wrestling the likes of Super Tiger (check their match here) and even training WWE superstar William Regal. It was great to see all the old Billy Robinson-style catch wrestling still in Marty's head. 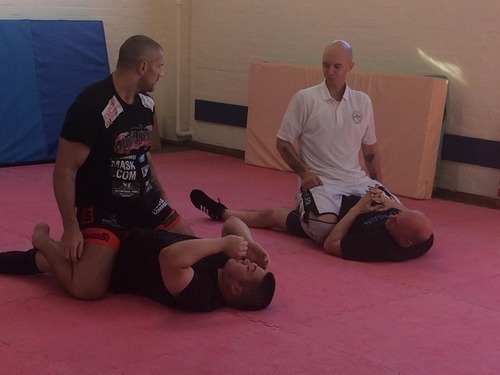 On Sunday, Marty and I ran the training camp teaching Billy Robinson's style for a few hours while Wade turned on a whole new generation of grapplers and MMA fighters to submitting opponents with pins. 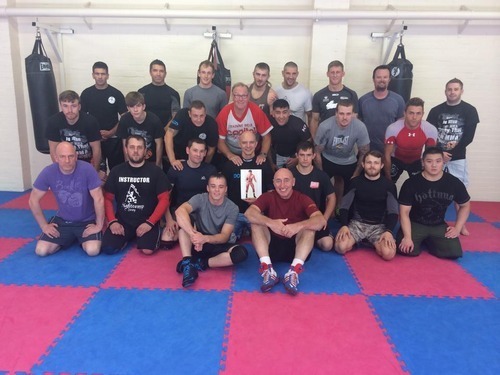 The 3 day training camp was held in Doncaster again (this is was Scientific Wrestling's third training camp and our 4 tour of the UK) at Andy Crittenden's gym, as was Sunday's seminar with Wade. 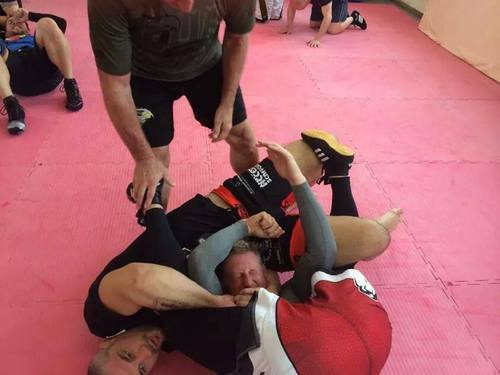 We called the seminar Submission Pinning for MMA (doesn't get more catch-as-catch-can than that, learning ‘submission pins' from Earth's greatest pinner ever). 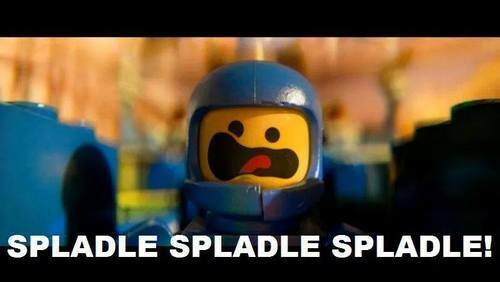 Hit my first spladle in live wrestling today too! Needless to say, Wade's submission pinning seminar was a hit so I would certainly keep your eye out for MORE pinning submissions (i.e, catch-as-catch-can) in higher level MMA and grappling competitions now that Scientific Wrestling higher and higher level athletes! Well, thank you for reading. Wade and I hope to see you at one of our upcoming training camps soon!